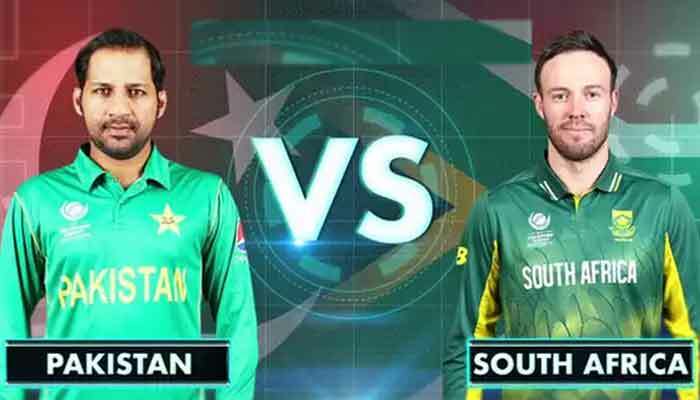 PORT ELIZABETH: South Africa have won the toss and decided to bat first against Pakistan in the first game of the five-match One-day International (ODI) series in Port Elizabeth on Saturday . The match starts at 04:00 pm (PST) and will be covered live by this website. Pakistan will make all the efforts to bounce back from the setback of 3-0 Test series defeat to gain the momentum ahead of the world cup. Pakistan are said to be a more cohesive unit in the shorter format of the game and stand fifth on the ICC ODI Team Rankings. Faf du Plessis, South Africa captain, also said on Friday that Pakistan are a better one-day team than the hosts. Pakistan’s pace bowlers Hasan Ali, Mohammad Amir and Shaheen Afridi will enjoy bowling on the seam-friendly conditions in Port Elizabeth. The teenager Shaheen impressed in bursts during the Test series, claiming nine Proteas scalps in two games. While green shirts will heavily depend on their experienced batting line-up, like Shoaib Malik and Mohammad Hafeez. The South Africa’s bowling attack looks potent with the likes of Kagiso Rabada, Imran Tahir, and Andile Phehlukwayo in their ranks. Additionally, Duanne Olivier, who was exceptional in the Tests, has also been drafted into the 14-man squad in place of the rested Dale Steyn for the first two ODIs. Hashim Amla and Reeza Hendrick are opening the innings while Faheem Ashraf will bowl the first over.